Fresh off a Golden Globe win and multiple Oscar nominations, Richard Linklater’s Boyhood is the talk of the town. 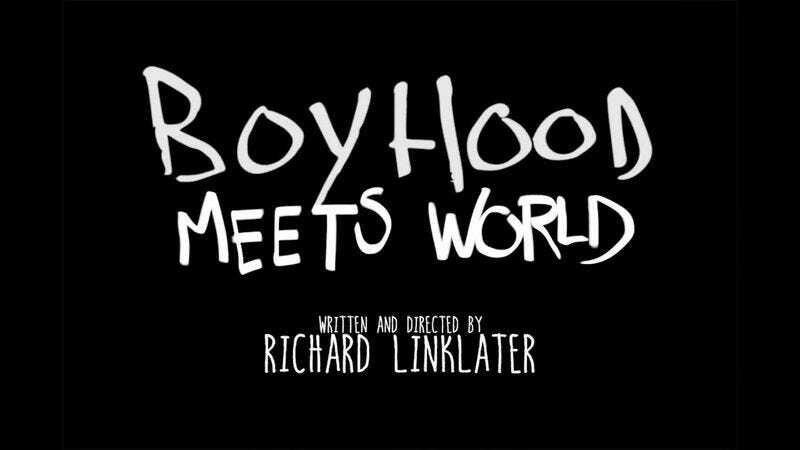 But as this faux trailer shows, clearly Linklater was just cribbing off another story of a boy growing up and trying to make sense of the world around him. Yes, Cory Matthews grew up before America’s eyes as his own coming-of-age story unspooled over seven years on beloved sitcom Boy Meets World (not to mention the added seasons of the recent Girl Meets World spin off). Whereas Boyhood’s Mason was forever searching for a constant father figure in his life, Cory had at least two with his own dad and Mr. Feeny (plus whatever the hell a Minkus is).